Vitamin B-12 is a nutrient your body requires for proper function. Among the many roles of B-12, this vitamin helps form your red blood cells and aids in your neurological processes, explains the Office of Dietary Supplements of the National Institutes of Health. A deficiency in B-12 could result in serious side effects. Knowing these side effects and whether conditions such as eye floaters result from a B-12 deficiency will help you recognize a potential problem. 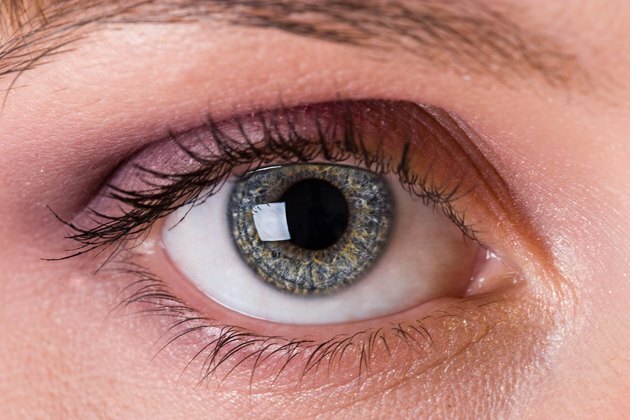 The back section of your eye contains a thick, gel-like substance called vitreous that helps protect the inside of your eye and also helps your eye maintain its round shape. As you age, the cells in your vitreous fluid may break down, and the components of the fluid may clump together and form the floaters that you see passing through your vision. Floaters may also result from the vitreous pulling on the back lining of your eye, a tissue layer called the retina. If a small tear occurs, you may have new floaters. Many new floaters could indicate a retinal detachment. A vitamin B-12 deficiency will not cause floaters in your vision, but you may notice other signs. You may experience weakness, fatigue, constipation, weight loss and loss of appetite. You may also experience numbness and tingling in your extremities, particularly in your hands and feet. Other symptoms may include poor balance, memory loss, depression and confusion. If you experience these or other unusual symptoms, contact your doctor immediately. A vitamin B-12 deficiency will not cause floaters to appear in your vision. However, certain factors may increase your risk of these spots. Many people who have floaters are over age 50. If you have good near vision but poor distance vision, you have an increased risk of floaters. If you have had eye surgery or history of an eye injury, you have greater risk. Certain eye diseases such as diabetic retinopathy may also increase your risk. Floaters may also appear as an indicator for a retinal detachment. If you have new floaters, contact your doctor for an evaluation to ensure that you do not have this vision-threatening condition. Contact your doctor if you think you have a B-12 deficiency. The average adult requires 2.4 mcg of vitamin B-12 each day, and a variety of foods contain this nutrient. A single slice of beef liver contains 48 mcg, and a cup of plain yogurt provides 1.4 mcg. If you follow a vegan or vegetarian diet, you may need to take supplements to ensure you have the appropriate intake.